My name is Math Suky; you may call me "Zaky". I was born in 1985 at Stueng Thmey Village, Siem Reap Town, Siem Reap Province and it is the place where I grew up. I am a second child in the family and I have 8 siblings. In 1999, I went to Um Alqura Institute to continue my secondary school in Kandal Province. I graduated in Business English Program and General English Program at Australian Centre for Education and got the IELTS in 2016. For further study I want to take diploma in business for communication. Early 2015, I have been promoted to be a President of Siem Reap Muslim Community Development Organization (SRMCDO)and I have worked with this NGO almost 10 years. Our NGO's purpose is to build Muslim human resources in Siem Reap especially Steung Thmey Village and some poor students from countryside. As the president of SRMCDO, I am striving hard to help students to gain knowledge by offering full university scholarship, English and computer classes for free of charge since the NGO established in 2006. SRMCDO has sent many potential students to improve their English skill at Australian Centre for Education (ACE is the only leading and trusted English centre in Cambodia), Learn 4 life (L4L) as well as universities both in Siem Reap and Phnom Penh. SRMCDO has more than 40 Muslim students studying at ACE, Learn for Life and Universities. These students are being sponsored by some Malaysian, Singaporean, Belgium and Turkish. Some of these students are volunteered to teach English to kids and young adults at SRMCDO in Steung Thmey village as requested from their oversea sponsors. Kids and young adults now able to communicate in English quite good and some of them can use Microsoft Office, Excel, Power-Point etc. If we look back to year 2006, there are only a few Muslim kids knew very little English and computer. Until now we have many human resources to help our NGO, Community and assist Imam Siem Reap Province. We hope they can help their community and Cambodia as well after they finish higher education. We are planning to buy land to build an orphanage in Siem Reap and also we are looking for volunteer English and computer teachers to be a part of our organization. Both full time and part time are really appreciated. 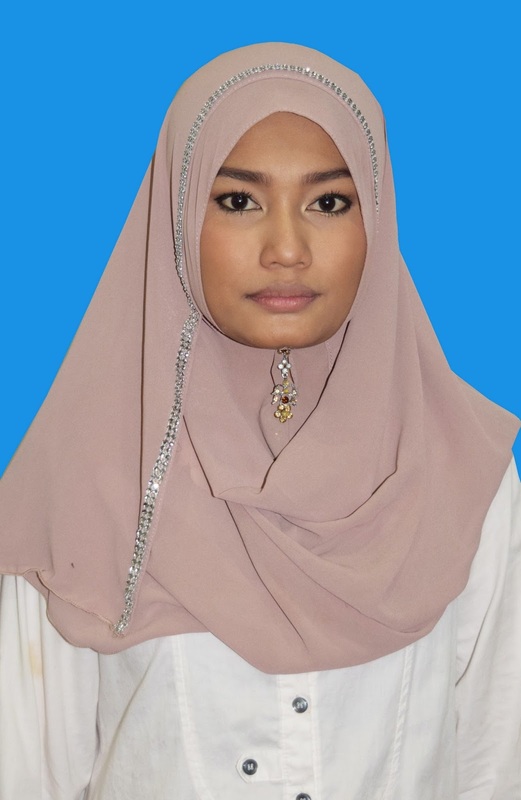 Asalamualaikum, My name is Shima Binte Abdullah or you can call me Sokma Heng. I am now 26 years old. I am living in a small Muslim community in Stueng Thmey Village. I moved to live here since 2010 to pursue my study. I was sponsored by Siem Reap Muslim Community Development Organization (SRMCDO) since I cannot afford for my school fee. Everything went well. I got sponsorship both university and English course at Australian Centre for Education (ACE). SRMCDO has sponsored me not only 1 year but 4 years of university in Business Management Faculty and English Class at ACE. I graduated university by the end of 2014 and English for Academic Purposes (EAP) at ACE early 2015 and has done my IELTS test twice. Since I get a sponsorship, I decided to help SRMCDO as well as community back by using my knowledge from school to teach the student in Muslim Community in Steung Thmey village. I am nowadays teaching Elementary Class which starts from 8pm to 9pm Monday to Friday. Most of my students cannot afford to study at private schools. It has been 6 years since I taught them. Some were grown up and study at university or English school at Learn for Life (L4L) or ACE and some have jobs or become volunteer teachers in SRMCDO. By mid-2014, I have been offered a job as Accountant Assistance in one hotel in Siem Reap and early 2015; I start a new job as Registration and Insurance officer at Royal Angkor International Hospital in Siem Reap Branch. I found right job for myself due to it fits to my personality and education. I feel very thankful to SRMCDO that help me to find a good job and be able to follow my dream. I also determine to help SRMCDO as much as I can because only one aim is all Muslim kids to be able to study both public school and English class and get a good job with a better future. Thank you so much for coming across reading our blog spot. Feel free to contact us anytime for further query. Wasalam! Hello everyone. My name is Nann Fazy. I was born in Siem Reap town of Cambodia. I was born in a low income family which is unable to support my study at university. Unfortunately, I become a member of Siem Reap Muslim Community Development Organization (SRMCDO) and this organization gives me a chance to study and seeks a job for me as well. I was sponsored by Uztaz Haji Musa, Imam Siem Reap province and the president of SRMCDO. I would like to thank to him for his sponsor and help me until I get success in life. I graduated Bachelor of Accounting from the University of Southeast Asia in Siem Reap in 2013. 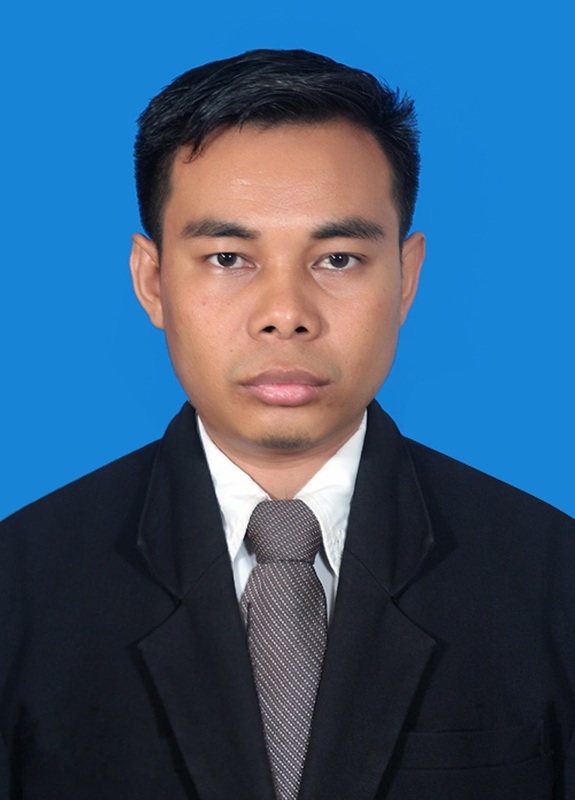 I am a university student and an Accountant Manager at MYHIBICUS HOTELS & RESOR Siem Reap-Cambodia. I have worked here since 2011. It is a Malaysian hotel. My future is brighter since I work at this hotel and study at university. I feel proud of my great success. My names is FIJKRY BIN ABDULRA PHEAK. You may call me FIJKRY. I am 19 years old. I was born on 21st October 1993 in 6th Village, Kompong Treh District, Kroch Chma Commune. Kompong Cham Province. I have 4 siblings, 1 sister and 3 brothers and I am the eldest son in my family. I have moved to live in Siem Reap since 2010 to continue my study. I graduated high school in 2013. Now I am a first year student at University of South-East Asia (USEA). And my major is Financial and Banking. And I also work as a volunteer English teacher in Siem Reap Muslim Community Development Organization (SRMCDO). I have been studying at Australian Centre of Education (ACE) in level 6 under sponsor by SRMCDO. I will bring my knowledge that I take from University and ACE to help my community and try to develop my community. Furthermore, I really love teaching the children and my community. My ambition is to become a manager of Banking. Hello, my name is El Khory. I am 18 years old. I was born on 18 of January in 1996. I am living in Steng Thmey Village Commune, Siem Reap Distric, Siem Reap City, Siem Reap Province, Cambodia. I live with my parents. I have one brother and three sisters. I am studying grade 12 at 10 January 1979 High School and I also studying English at ACE in level 6 RWG. I have been studying English at ACE for 3 years and sponsored by under Siem Reap Muslim Community Development Organization (SRMCDO). I am very happy to study at ACE and I want to say thank you very much to Uztaz Haji Musa that helped me and sponsored me. Furthermore, I am a volunteer teacher in SRMCDO, I really enjoy teaching. Additionally, I like reading English books and listening to music. My favorite song is English songs. I love listen to English songs because it improve my listening skill. Come to an end, in my future I want to be a professional teacher. I would like to reveal to all of you about my background. My name is QOB Tam, while most people called me A Dam. I am now a Twenty-One year old. I reside in Steng Thmey Village, Svay Dangkum Commune, Siem Reap, Cambodia. Prior to my birth, my parents lived in Phom Penh. They were seeking better job opportunities which then later led them to Siem Reap. After securing a solid job, they decided to raise a family. I have five younger brothers and 2 younger sisters which I am the oldest son in my family. Recently, I am a Chief of International Relation in SRMCDO. Moreover, I work at Exotissimo Travel Company as Operation Reservation Officer. Last year , I got a IELTS Certificate Level 12 from ACE (Australian Centre for Education). I was one of the SRMCDO's sponsored students from Malaysia. I spent two years for getting two certificates from Paul Dubrule School in course "Hospitality & Tourism". Furthermore, I graduated high school in 2010. In my free time, beside my own works and parents' works, I usually reading books, research and playing sports. I really want to study abroad, if I have a sponsor. May Allah bless me, my parents and all of you. My name is Sadath bin Zakrya. I am 20 years old. I was born in Russey Keo District, Phnom Phenh City but now I am living in Steung Tmey village, Svay Dong Kom Commune, Siem Reap Town, Siem Reap province Cambodia. I have four sisters and I am the eldest in my family. I am taking Hospital Management course in University of South-East Asia in first year. Furthermore, I am also studying English at Australia Centre for Education (ACE) in level 5 under sponsorship by Siem Reap Muslim Development Organization (SRMCDO). I love this NGO very much because it gives me chance to improve my English. In my free time, I like reading books, surfing internet but sometime I help my mom to cook and clean the house. In the weekend, I like playing football with my friends. In my future, In Shaa Allah I want to be a Hospitality manager and a tour guide. In order to get this dream, I must study hard. Bye everyone! Thank you for reading this. See you! I love SRMCDO so much because this organization provides English and computer classes to students from kids do adults for free. I am proud of my English and computer skill now. I will use my skill and knowledge to help my community. My name is Qob Savy. You can call me Vey. I was born on 2nd of February in 1995. I live in Stueng Thmey Village, Svay Dangkum Commune. Siem Reap Town, Siem Reap Province. I have 7 siblings, 5 brothers and 2 sisters. I am the third son in my family. Now I am a student at 10 January high school in grade 11. Next year I am going to have an international exam. I have been studying at Australian Centre for Education (ACE) in level 11A under sponsorship Abdul Rahman from Singapore. I am also working as a volunteer teacher at Siem Reap Muslim Community Development Organization. In my future I want to be a tour guide because in Cambodia especially in Siem Reap there are a lot of tourists from many different countries over the world come to visit the temples. So it is easy to find a good job. I love SRMCDO so much because this organization makes me to improve my English and computer skill. I will use my knowledge to help and develop my community.